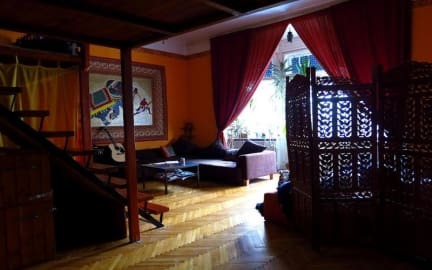 Mandala Hostel kohteessa Budapest, Unkari: Varaa nyt! I really hit the jackpot with this one! I arrived at the hostel, which was relatively easy to find if you have google maps and felt safe and taken care of. Checked in and the staff gave me a map and marked all the necessary things a traveller would need in a city. They asked what my intrests were while visiting in Budapest and marked all of those places as well. (Thrift shops, jazz clubs, etc.) 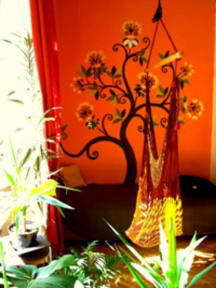 Mandala Hostel is a clean, calm environment with good access to the city. Would definitely stay again! It felt more like an appartment, so quiet and nice! Really friendly staff, especially the Mexican guy who took us from the reception to the room. Not the most central location but really good transportation options and more quiet which is nice. Great bathrooms. I will definitely stay here again!